Dear reader in last post we have discussed about permeability of different rocks in relation to concrete durability; the coefficient of permeability of basalt, dense granite, traprock, diorite, marble are generally lies between 1X10-12 to 10X10-12 cm/s. But some types of limestone, sandstones, granite and cherts have much higher co-efficient of permeability and this is of the two orders of value provided above. Now question may arise having maximum 10% porosity how do they show such higher permeability? 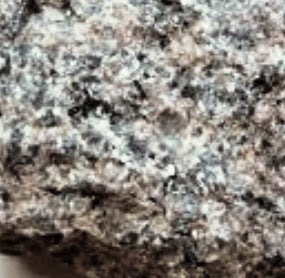 The answer lies in size of the capillary pores of aggregate. They have much larger size than cement paste. The pore size found in aggregates is greater than about 10µm (average value). The capillary pores in matured cement paste have size of the range of (10-100) nm i.e. much smaller pore size are available in matured cement paste. Thus being less porous, due to large size of capillary pores aggregate shows much permeability than cement paste. In some aggregate there have finer pores in distribution of pores thus lead to less permeability. But this aggregate do harm to concrete by increasing permeability; how is it possible?